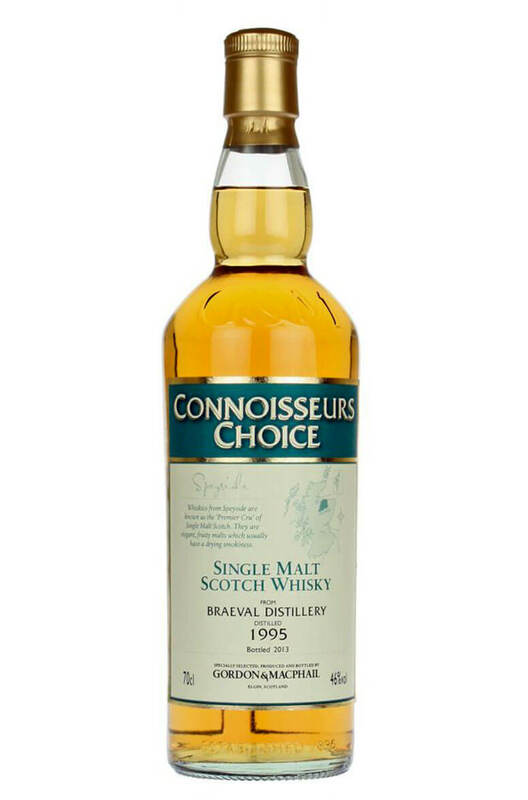 A medium bodied and smooth tasting single malt from a seldom seen distillery. Braeval is situated high up in the Grampian mountains and most of its output goes into the Chivas Regal blends. This is a very good example and has some great fruity characters contributed by the refill sherry casks used for ageing. Aromas (with water) Cooked apples, lime and galia melon. Subtle Sherry influences remain with a touch of beeswax. Aromas (without water) Delicate Sherry influences with herbal notes and hints of lemongrass. A touch of elderberry and kiwi fruit develops. Palate (with water) Sweet and creamy with strawberry, orange and milk chocolate flavours. A delicate spiciness lingers. Palate (without water) Black cracked pepper initially on the palate with sweet strawberry, raspberry and milk chocolate flavours.